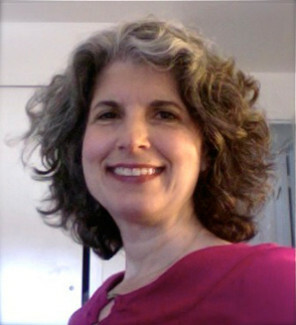 Debra Rubin, an award-winning editor and writer, lends her expertise in editing, website content, profiles, features, opinion pieces and research skills to the Bluelight Strategies team. An experienced copy editor for Warren Communication News, Debbie previously was the editor of Washington Jewish Week. In addition to managing the newsroom staff and a cadre of freelancers, she oversaw the “modernization” of the paper for the 21st century, launching its online presence, including its Facebook page, Twitter account and periodic SurveyMonkey engagements. Her honors include a first-place Maryland-Delaware-DC Press Association Award for an editorial, “Symbol of tolerance, target of hate,” and sharing in a first-place American Jewish Press Association (AJPA) Simon Rockower Award for Excellence in Jewish Journalism, given in news reporting for coverage of the June 2009 shooting at the U.S. Holocaust Memorial Museum that left one guard dead. Prior to becoming editor of Washington Jewish Week, Debbie was managing editor of the New Jersey Jewish News. She also served as president of the AJPA, demonstrating collaborative leadership skills and initiating the group’s first website. She remains an active member of the executive board. Debbie has won multiple awards for her editorials and feature stories, including from the MD-DE-DC Press Association, the AJPA, the National Federation of Press Women and New Jersey Press Women. Her articles have appeared in such outlets as The Washington Post, The Huffington Post, JTA, Religion News Service and Bethesda Magazine.